Capt. 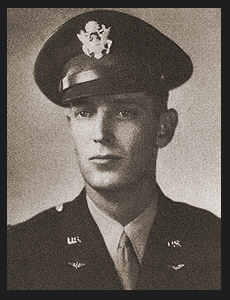 Charles J. Johnson, son of Mr. and Mrs. Charles H. Johnson, graduated from Hobart High School and Univ. of Okla. Entered Air Corps in May, 1942, trained in Chanute Field, Ill., El Paso, Texas, Pueblo, Colo.; went overseas in May, 1943, served in England, was discharged in Nov., 1945. Awarded ETO Ribon with two Battle Stars, Pres. Unit Citation with Oak Leaf Cluster.